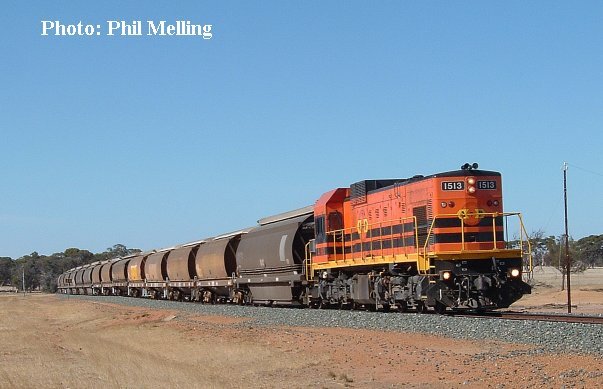 Western Australian had a record grain harvest in late 2003, early 2004 as a result this has meant plenty of trains. 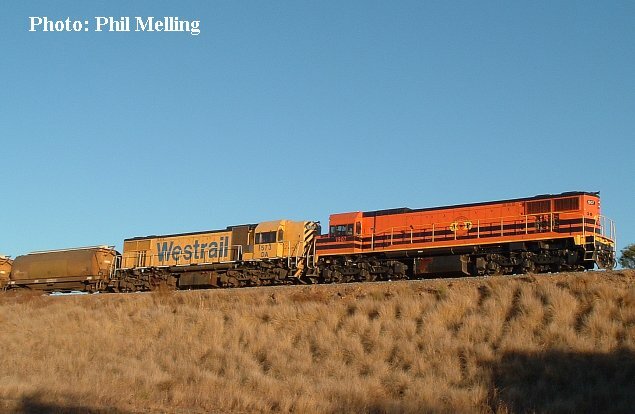 It has also seen ARG using a mix of locomotive types on these grain trains. Here are a few photos of the train so far this year (up to April 2004). P2013/AB1531 shunt grain wagons at Wickepin (east of Narrogin) on 7 April 2004. 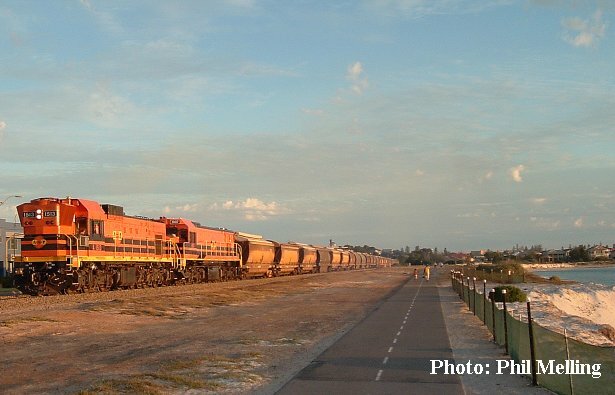 1907/A1513 are combined to haul a loaded grain train away from Geraldton Port on 16 April 2004. 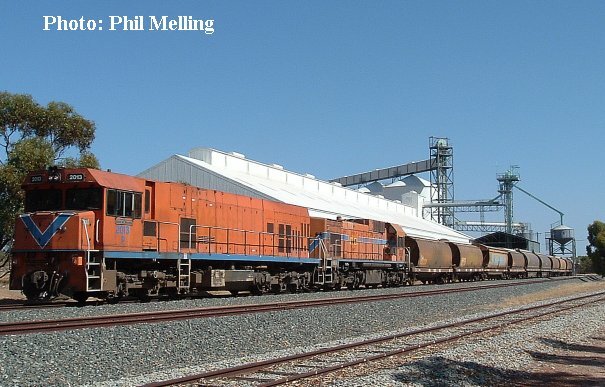 The grain had been loaded at the Port grain export terminal for railing to the Perth Metropolitan area. AB1531 hauls a loaded grain train away from Wickepin on 7 April 2004. 1907/DA1573 on the front of a loaded grain train heading for Geraldton. 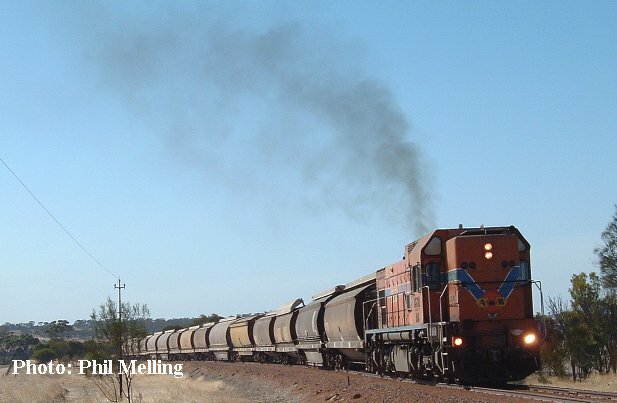 Photo taken at Bringo on the Mullewa line on 1 April 2004. A1513 hauls a loaded grain train into Yilliminning on 6 April 2004.